Barcelona’s local television channel has revamped its identity. Folch Studio has designed a rebranding of Betevé that includes not only the strategy, narrative and graphic applications but also the design of the building’s space and graphics. 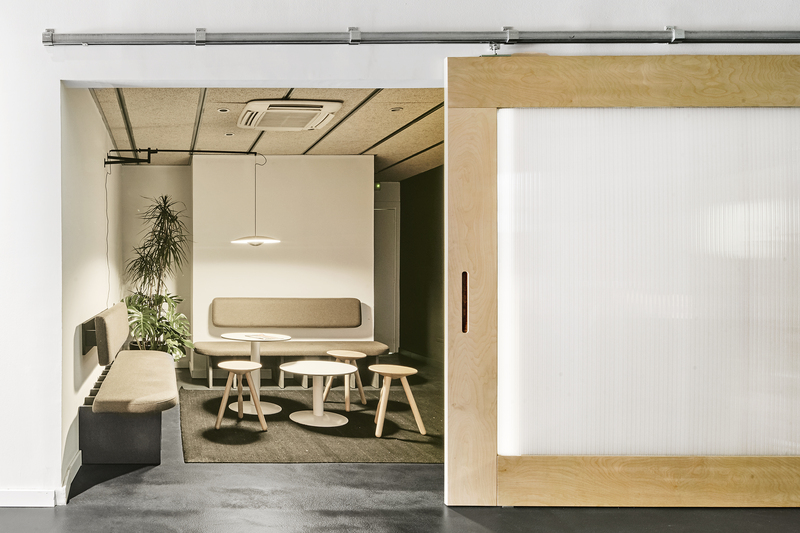 Stefano Colli has worked together with Folch at the Betevé offices, designing the shared spaces and sets. He’s also proposed the lighting and fittings. 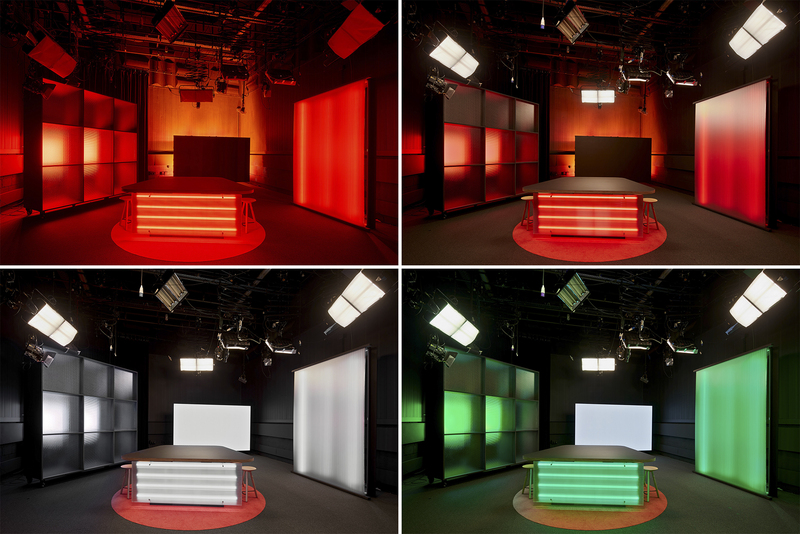 Using visual references such as James Turrell, Stefano has managed to represent the fact that image (television is image) consists of light and colour. 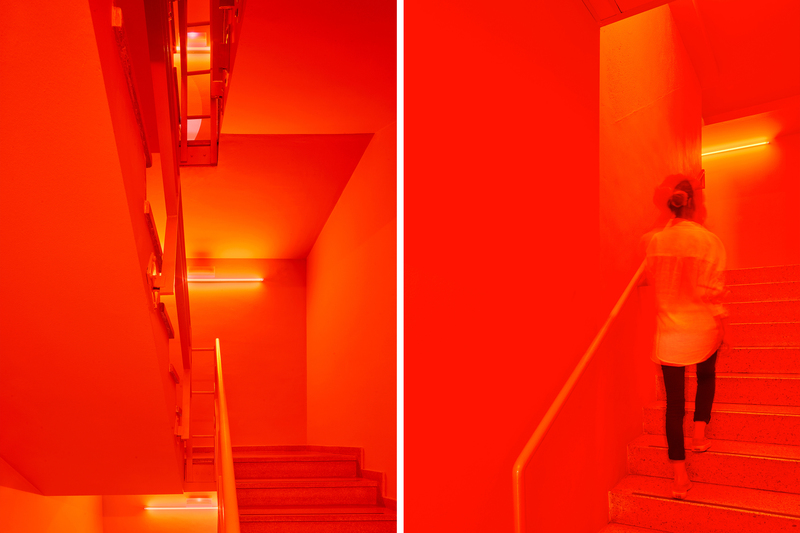 According to the designer, the red stairs leading up to the first floor are an overt tribute to Turrell. 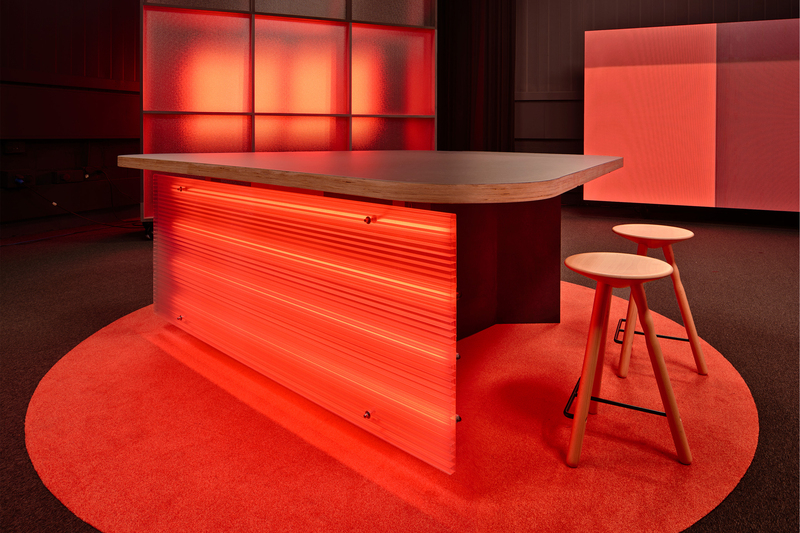 The set is surrounded by transparent false ceilings that emit light of different colours; a light that creates an ambience of backlighting very much in keeping with the spirit of a local television station in a pioneering, forward-looking city such as Barcelona. 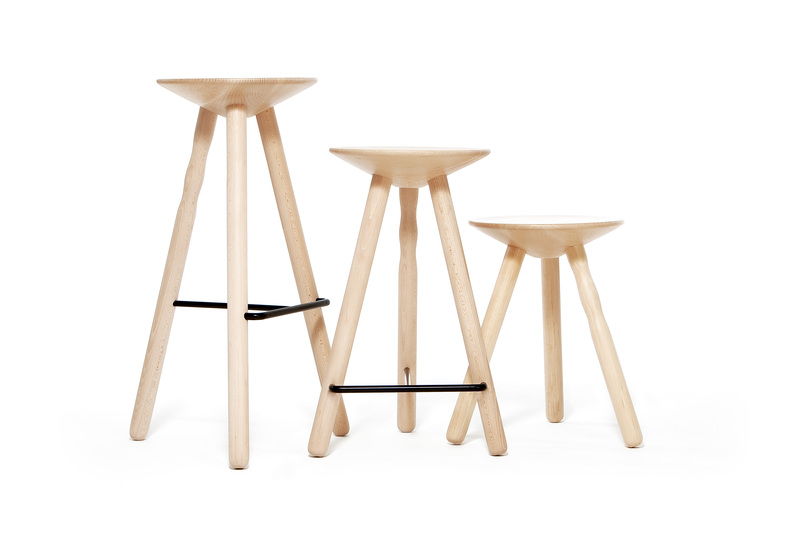 In this contemporary setting, the Luco stools, designed by Martín Azúa, form part of the main set’s furniture. The Luco stools, with three legs made out of natural wood, give a traditional feel and also act as natural absorbers of the light projected by the illuminated table, avoiding any harshness. In the waiting rooms, the benches designed by Stefano Colli himself share the space with the Luco stools and Pey central tables of different heights. 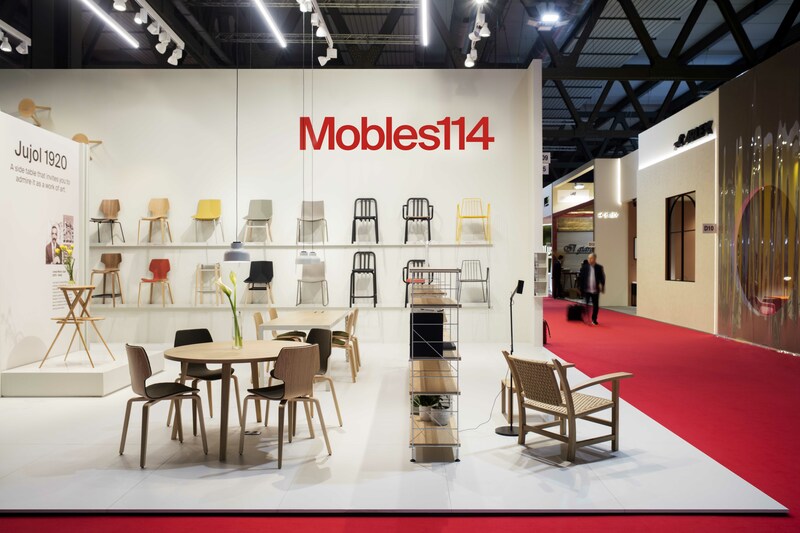 Folch Studio has recently designed the rebranding of Mobles 114. It also worked previously on the design of the catalogue for Eugeni Quitllet’s TUBE chair, with photographs by Nacho Alegre, among other collaborations. 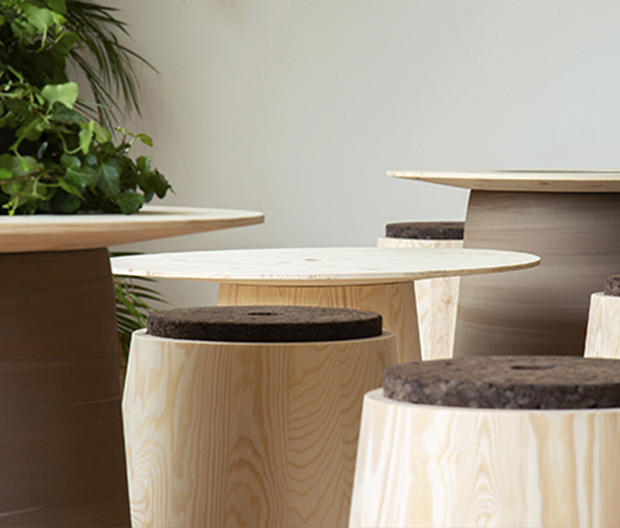 Stefano Colli has designed several Mobles 114 stands over the past few years. 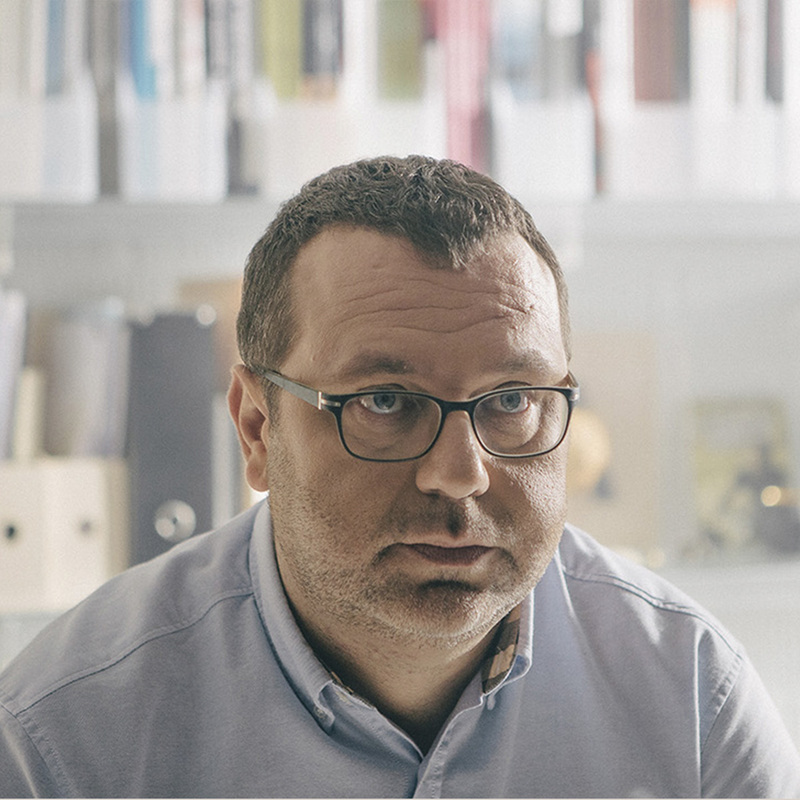 Colli is not only an architect who creates designs but is also involved in Mobles 114’s strategy. He realises the brand is also projected through the architecture and spaces inhabited by Mobles 114.